Diaz isn't going to retire any time soon! 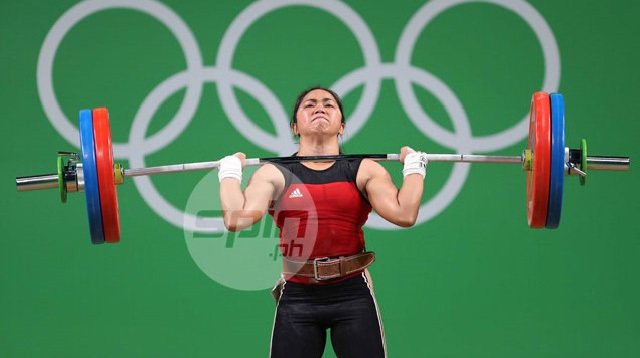 Olympic medalist Hidilyn Diaz is ditching her plans to retire from weightlifting and now has her eye on a gold medal in the 2020 Tokyo Olympics. Diaz won a silver medal in the women’s 53kg division of the women's weightlifting competition in the Rio Olympics. She is the first Filipina athlete to win an Olympic medal. Her victory also ended the Philippines' Olympic medal drought. A SPIN.ph report quotes Diaz as saying, "Parang ayoko na muna mag-retire. Ngayon pa lang, nami-miss ko na ang pagbubuhat (I don't think I want to retire yet. Now that I think about it, I already miss weightlifting)." When asked what her next goal is, Diaz quipped, "Tokyo (Olympics) po." She also added, "Siguro hindi na ako papayag na silver lang. Gusto ko gold. Pipilitin ko (I don't think I'll go for silver. I want to go for gold. I'll do my best)."